At one end of the communal barn we have created a sumptuous sanctuary for your showering delight. 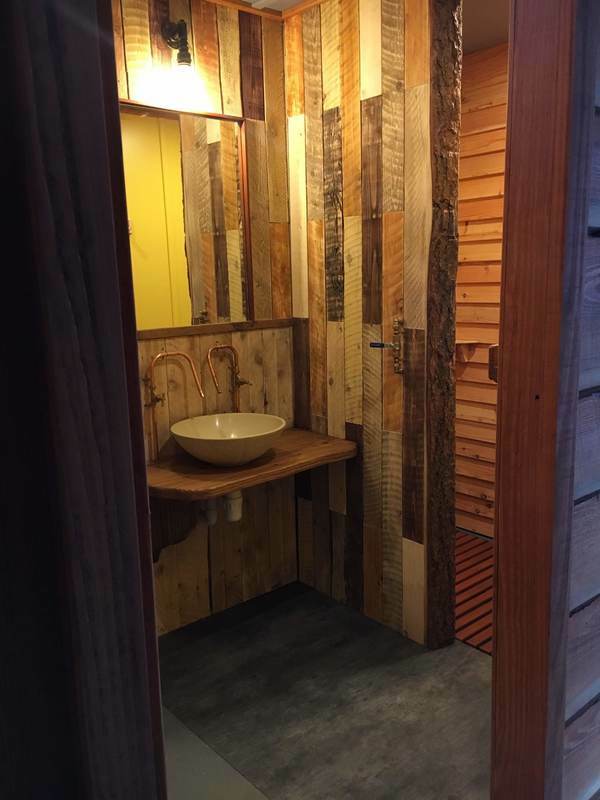 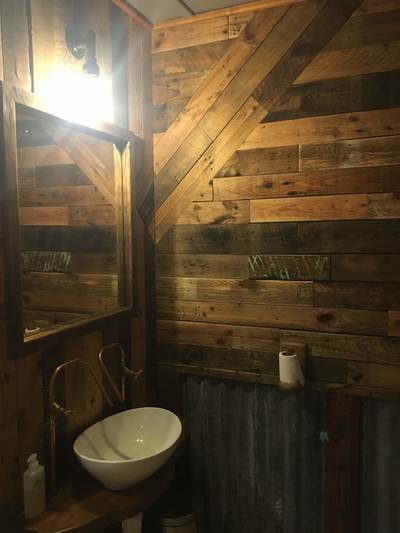 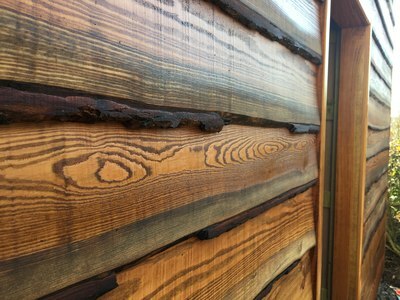 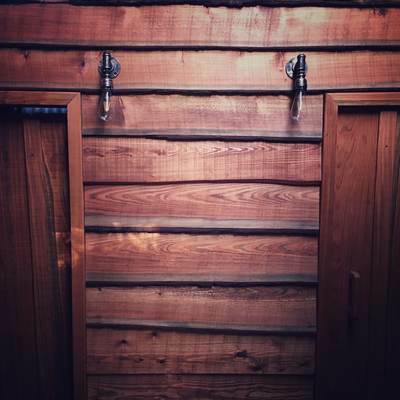 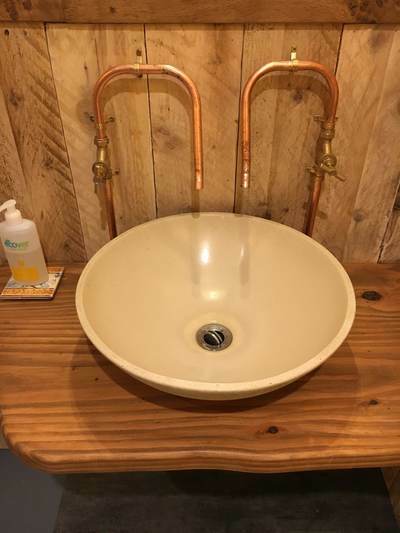 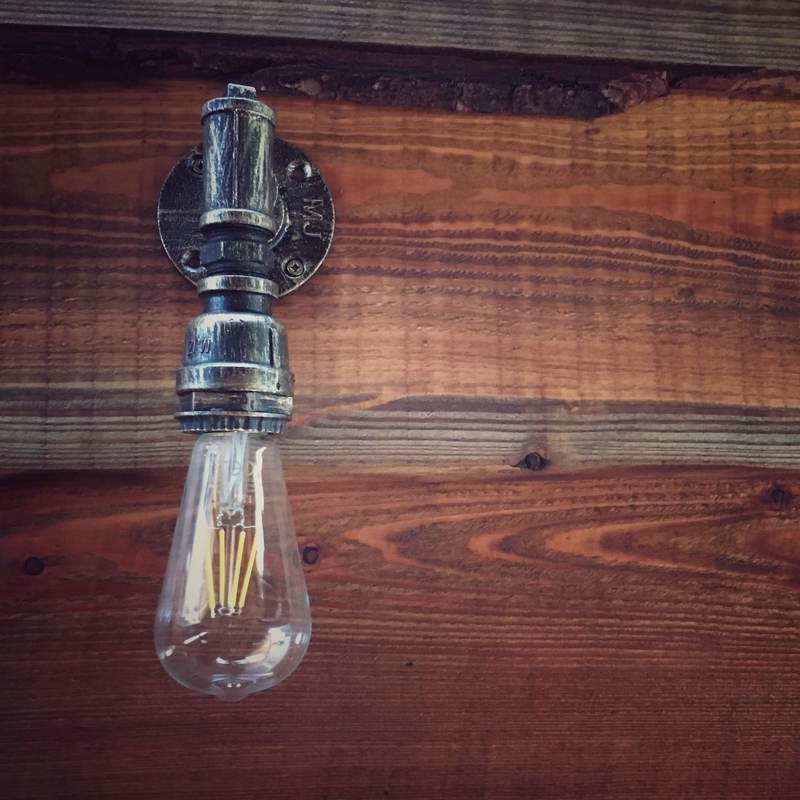 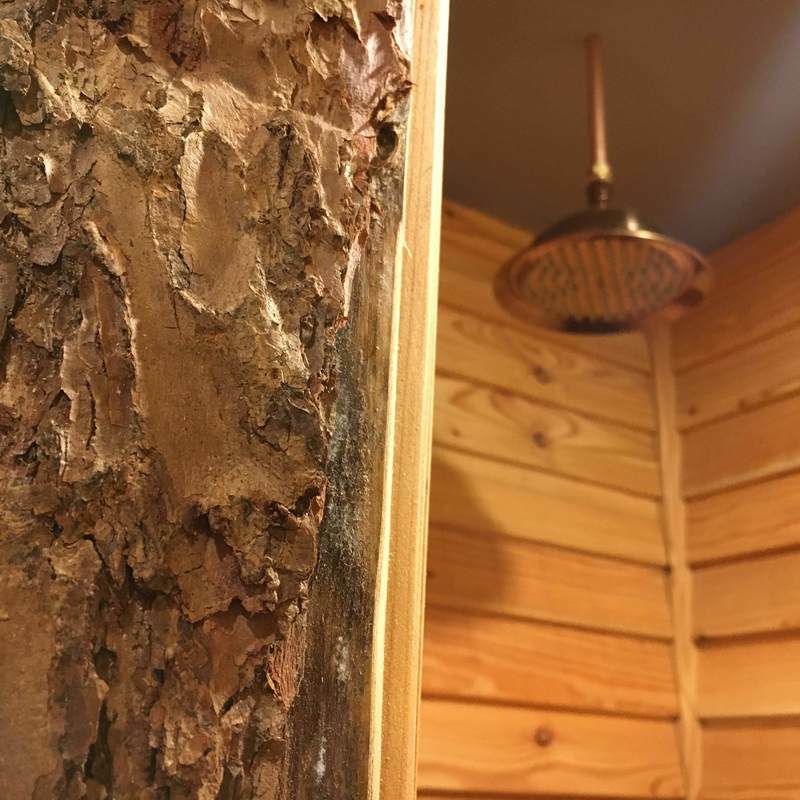 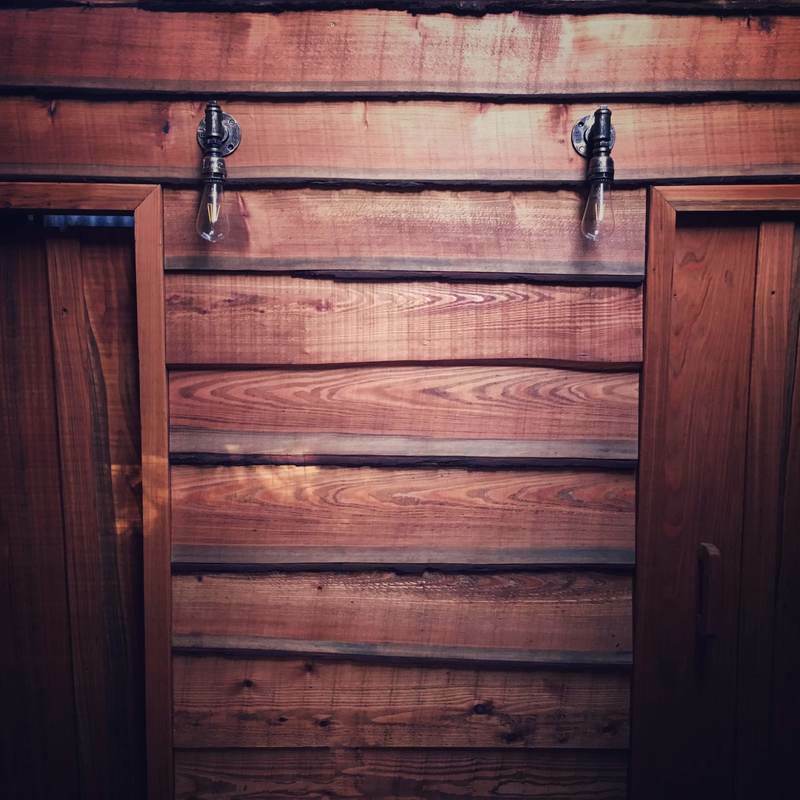 Refurbished for the start of the 2018 season, our four new shower rooms use natural and reclaimed materials including larch panelling, wooden pallets and corrugated iron to give a rustic feel but with all mod cons. 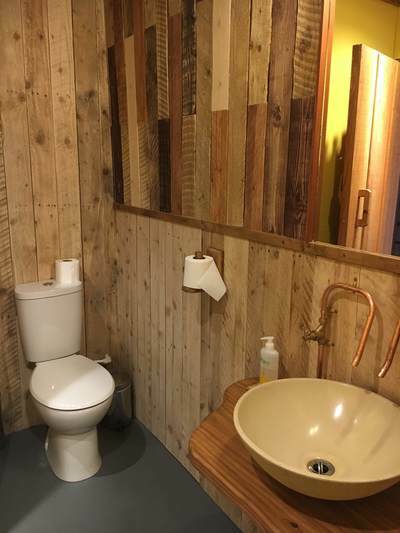 Each has a hot shower, basin with hot and cold water and a flushing toilet. 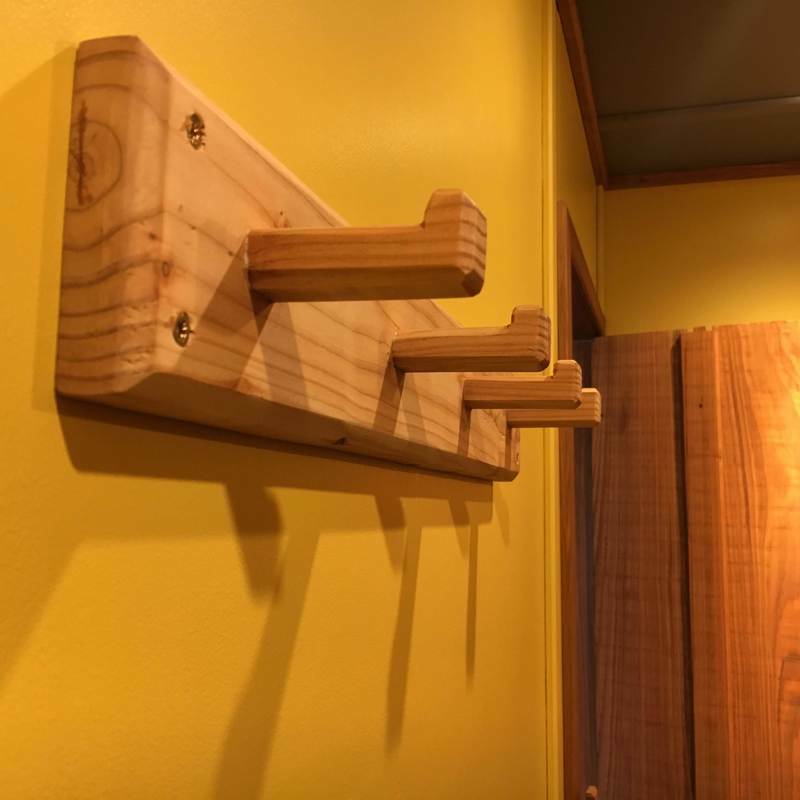 Bespoke hooks for your towels and clothes and a large bench for your shoes, belongings and little bottoms mean there is lots of space for you and the family to cleanse in comfort.